This is the first and most important step. Don’t go looking for the cheapest option. When you know the size of fridge you like that fits in your kitchen, then a well-known “domestic fridge” brand should be the one you should opt for. Ask your local appliance retailer. From Westinghouse, Fisher and Pykel, to Miele, they should come with manufacturers warranty and energy efficiency. With all your food stock in storage, from fresh vegetables to frozen meat, you will have to organize and maintenance clean your food stock fridge often. Keeping too much in storage can overwork your fridge, which will reduce cooling temperature and use up more energy. Where you place your appliance is very important. If your kitchen has no ventilation, then your fridge may be working overtime. The compressor unit warms up in order to produce cool air for the fridge, thus, the reason for ventilation surrounding the compressor system. When the compressor is warm, it attracts dust from your kitchen surrounds. Other parts of the unit will also collect dust. Dust fibers will form at the air grille. You should clean the dust twice a year. Your fridge makes noise from the compressor unit system. In cooling the fridge the compressor warms up and a slight sound will be heard. When it’s defrosting, it turns off. Now when the unit is struggling or needs service, the compressor makes a louder noise. This noise cannot be ignored. Keep an eye on inside fridge temperatures. If it is not cooling or if your stock is frozen in the cooling compartment, then your fridge needs repair. If you have performed the above five steps and your fridge needs urgent repair, then call your local fridge repairer. 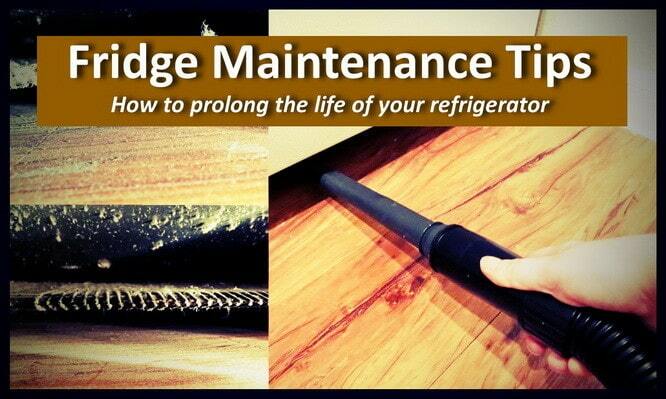 Find here the questions you should ask before hiring the fridge technician. at this site Please don’t try to fix it yourself! Do You Really Do Emergency Repair Call Outs? Sydney's Rich and Poor Suburbs: A Crisis? Is There A Need For Refrigeration Repairs? How To Become A Refrigerator Repairer? Fridges and freezers are vital for any household to keep food fresh and its storage….